This project was a design and fit out in the very early years of Equity Construction of licensed premises in the high street in Chorlton. This project was a design and fit out in the very early years of Equity Construction of licensed premises in the high street in Chorlton. 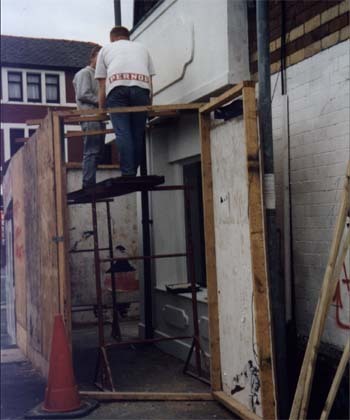 The works included the design and installation of a bespoke shop front as well as the internal refurbishment of the premises such as the full fit out of the rear kitchen and sub-basements used for storage purposes. The main challenge faced during this project was the time scale in just four short weeks we had to refurbish the entire exterior and interior of this small business. With the dedication of our highly trained staff and with good planning skills we were able to meet the deadline. Café Tabac is still open today and although the small yet friendly café has changed hands and names on more than one occasion the individually designed bespoke shop front produced by Equity remains although painted in other colours. This proves that not only does our high quality work withstand the test of time but our designs do too! Shop fitting, its what we are good at.